Discussion in 'Real Madrid' started by Shay Z, Dec 14, 2011. The cat sure got itself some wicked claws. Still hurts seeing that opening photo and thinking about what could have been. 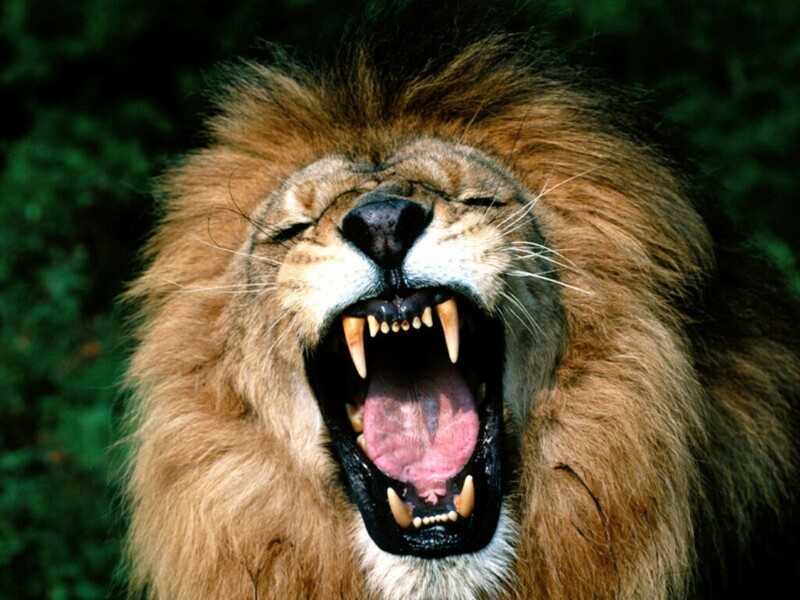 Nevertheless it's good to have a monster cat in particularly savage hunting form. Doesn't it? Before the game I was actually thinking how Benz's expression would be if he scores against them considering he always shows only a barely-there smile, and then you get this photo, the happiest face he's put on since coming here - surely, it still stings a bit. He is getting better and better, well done Karim. Stings a lot. Especially considering how it went down. Anyways, I hope his growth and success continues. I loved how intense and happy he was after scoring that goal. always picked him on the playstation that lad. Mourinho was one of his biggest doubter & it's nice to see him appreciated Benzema much more now. Jose was a doubter? I don't think so. He just expected better of him, which is fair enough. It seems to have spurred Karim on. This is probably correct, he was just trying to get the best out of him. Yeah Mou said at the beginning of pre-season that him, Ronaldo and Higuain were the future attackers of Real Madrid. So he always knew his quality, just wasn't sure how long it'd take for him to start performing as he is now. Come on, I think there was a time last season where Mou had all but written the boy off, didn't trust him at all. I agree with Lowe (which I rarely do) that Mou gets too much credit for his blossoming here and maybe not enough credit is given to the man himself for digging deep and figuring out what it takes to be successful here. And please don't take this as me giving Mou no credit but the reality is that if Mou would've gotten that third striker he wanted his first summer here Benz might still be flopping in the wind such was Mou's frustration with him last year. I think the credit should be shared between Valdano, Mou and ultimately Benzema. Higuain's is going to feel like crap starting against the lesser teams. Benz and Pipita should team up together. Mourinho being Benzema's doubter was my personal perception until maybe the the start of this season after Benzema impressed in pre season & I felt that Mou started to see him differently after that. Last season I'm not even sure Mourinho would ever gave Benzema a run of chances if that's not for Higuain's injury. Then there's the openly harsh criticim. Even at the end of the season after Benzema's dissapointed in clasico home league game, Mourinho never gave him a chance to play in the rest of the 4 clasico, not even as a sub, while Adebayor & Higuain got to feature. 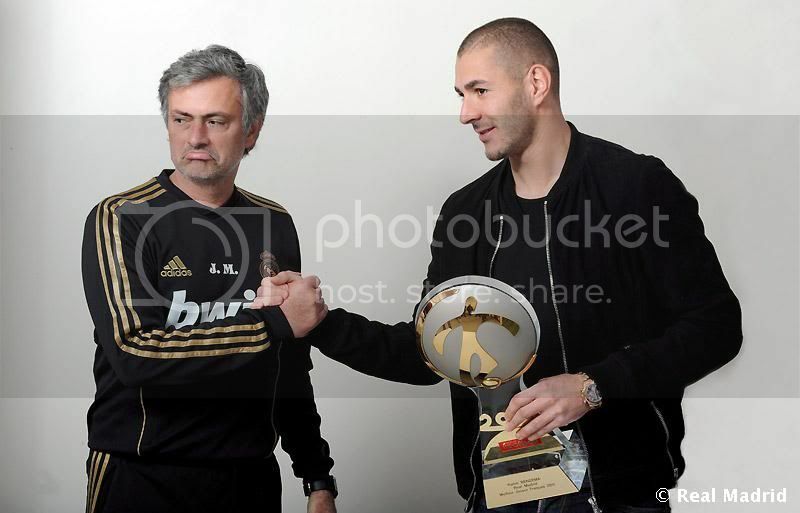 I fully respect Benzema for being able to beat that & win Mourinho over after all of those. Mourinho giving that ''NOT BAD'' expression is priceless. The best thing about the Granada game was Higuain's goal and Karim's second. Two deadly finishes. What we had when we were winning titles were strikers who would get you goals out of nowhere even if the team wasn't playing well, and both our forwards are looking like they can now do that if necessary. For me, Benzema's best attribute is his first touch. Time and time again I see this guy just reeling balls in that not a lot of players have any business to put under control. I counted three or four instances against Granada where I was astonished that the guy was able to control the ball as perfectly as he did. The technique that he posses to make the the ball dead after a cross like that reminds me of Zizou. We have the two most talented strikers. Pipita and Benzema would start in any team. Thats why I think we should play them together when we have the chance. This team can ball for the coming 8 years. So much football intellect, talent, technique and movement in this team. ^ no room for Ronaldo in your team, eh? I know Ronaldo hasnt been awesome last couple of games, but peoples reaction is just lol worthy. Grossly under rating how much he has done and how much he'll continue to do for us in the coming years. Still think that Benz's best position is up top as a striker. Just because he CAN play in other positions (i.e. second striker or on the wings), doesn't mean that it's the best way to get something out of him. I think there's better players in our squad that can play these other positions.